COSHH for small business - consideration of COSHH Assessments, etc. 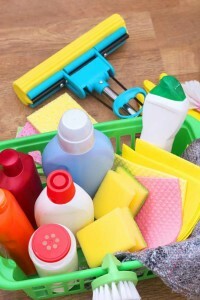 COSHH Risk Assessment can be daunting for smaller businesses. Most of the businesses in the UK are small or medium sized enterprises. The same health and safety laws apply to small businesses as apply to big ones, with a few exemptions on written risk assessments and policy documentation for very small companies. It should be noted that these size based exemptions are not exemptions from the risk assessment itself, but from the need for a written record of the assessment. Assess the risks to health and decide what precautions are needed. Inform workers of the risks associated with exposure to substances hazardous to health and of the control measures to be used to ensure their health and safety. Prevent workers being exposed to substances hazardous to health or, where this is not reasonably practicable, ensure that such exposure is controlled adequately. Ensure that exposure control measures are followed at all times, and regularly checked and maintained, and that safety procedures are observed. Monitor workers exposure to substances hazardous to health and carry out appropriate health surveillance, where the COSHH assessment has shown this is necessary. Train workers in the use of control measures and the use of any personal protective equipment that may be required. Provide suitable welfare facilities, such as washing and areas to consume food away from the workplace. Many (smaller) businesses do not consider that they have any substances hazardous to health, often because they believe that this refers to chemicals associated with industrial processes. In truth, few workplaces do not have any substances that are hazardous to health. 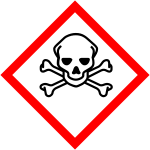 In many cases, employers overlook or do not consider the hazards associated with some substances, particularly those with which they are very familiar, and this is typical of COSHH for small business. A useful way to avoid this oversight is to draw up a list (or inventory) of all of the substances that are stored, used or generated in the workplace. This inventory must be comprehensive and should include: cleaning and premises maintenance materials, drain cleaning chemicals, waste and by-products (such as wood dust and welding or soldering fume) and diseases (such as Legionella). The next stage of the COSHH risk assessment is to determine whether any of the substances on the inventory are hazardous ‘hazardous to health’. This includes substances that are labelled as hazardous (i.e. very toxic, toxic, harmful, irritant or corrosive) under the CLP regulations or other statutory requirements as well as all substances that are identified as hazardous on the safety data sheet for the substance. Once the inventory has been created, COSHH for small business is a relatively simple matter to obtain further information of potentially hazardous substances. Substance data sheets may be obtained from the manufacturer or supplier of the substance. These substance data sheets contain, amongst other things, information on the hazards associated with the substance. Safety data sheets are particularly useful for determining if a substance is hazardous to health and are amongst the pieces of information that must be made available to employees who are exposed to substances hazardous to health. The safety data sheets will also provide the assessor with information about the hazards associated the substances to which people may be exposed. In the event of a person becoming ill while (potentially) exposed to a hazardous substance, the safety data sheet can provide a source of information to the person treating the ill person, such as a first aider. If that person needs to be sent to the hospital, then a copy of the safety data sheet should be provided with them. If I need to use a substance, is there a safer alternative available (reduction of the severity of the hazard). Once the number of substances (and their associated hazards) has been reduced, if is time to carry out the COSHH risk assessment. substituting it with a safe or safer substance, or using it in a safer form. using safe systems of work and handling procedures (written procedures, etc.). It is for the employer to decide on the method of controlling exposure. The COSHH regulations, however, limit the use of personal protective equipment (e.g. respirators, dust masks, protective clothing), as the means of protection to only those situations where other measures cannot adequately control exposure. For small businesses, it is often sensible to combine risk assessments to reduce paperwork. It is possible to create an “Office Risk Assessment” that deals with all of the general risk assessment issues, COSHH issues and fire safety issues in one simple assessment. Although several pieces of legislation may require the employer to carry out a suitable and sufficient assessment of the risks to employers and others, there is no requirement for these assessments to be carried out separately and called COSHH risk assessment, general risk assessments or manual handling assessments, etc. It is important that risk assessments cover all relevant areas is sufficient depth and detail. If your current risk assessments (such as those that are required under Regulation 3 of the Management of Health and Safety at Work Regulations 1999) address adequately all of the issues required under COSHH, then there is no need to produce new risk assessments to comply with the requirements of COSHH. As with all other risk assessments, COSHH risk assessments must be kept up to date and reviewed in the event of any significant change or if thought to be out of date for any reason.